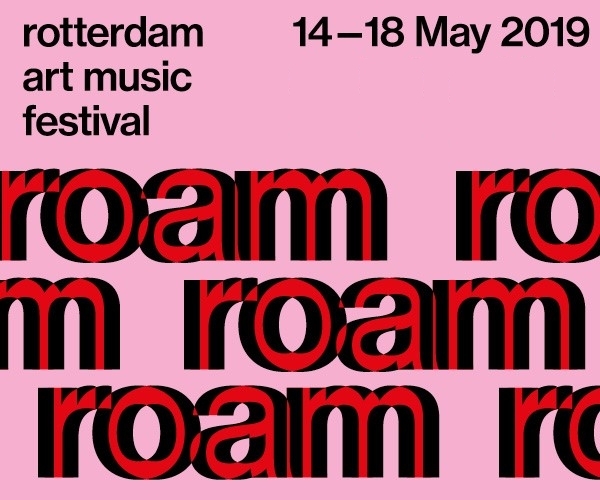 Janneke Earl gives us a look on Rotterdam through the eyes of an outsider. She shines a light on the things that stick out and sparkle her interest. 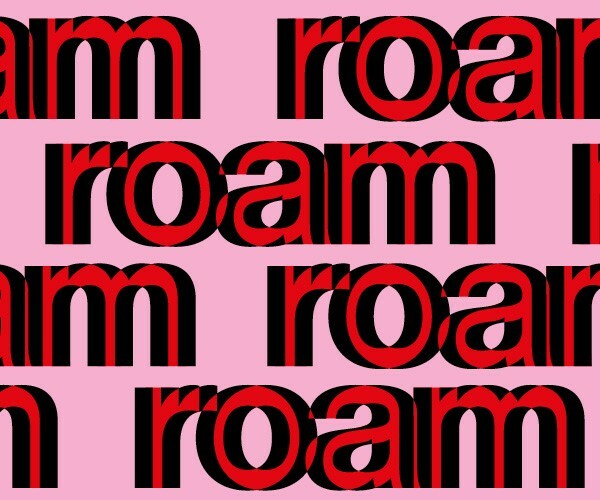 Janneke, born and raised in England, already took us on a tour of the city’s wild side. 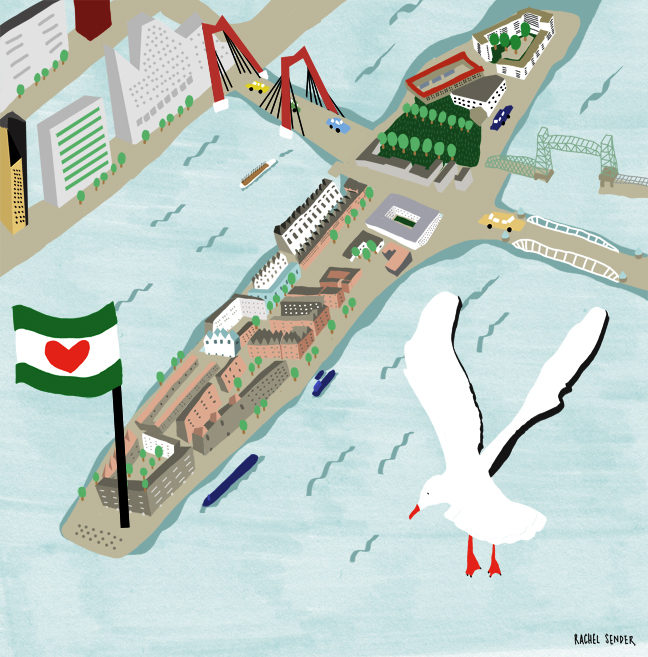 Today an ode to Noordereiland, the undiscovered gem that only pretends to be an island. So goes the official reception from the Willemsbrug, which in my English translation doesn’t sound that welcoming. There may not even be a sign when you enter the island from the Koninginnebrug. Although the Maaskade is a protected view, besides people living or working on the island, it tends to go un-trodden. I’m not complaining: its unintentional obscurity makes Noordereiland even more of an undiscovered gem. It’s just strange that such a distinct feature of the Maas can be overlooked, like the proverbial elephant in the room. Noordereiland is not a real island. It became an island when the Noorderhaven (now Koningshaven) was expanded between 1872 and 1874 under the city architect and civil engineer Christiaan Bonifacius van der Tak, after whom the main street on the island is named. The Van der Takstraat doesn’t feel like a main street, because there’s not enough traffic for that. It has presumably been like this since the red Willemsbrug replaced the original bridge in 1981 to increase the capacity of southbound traffic. However, it doesn’t make up for the lack of passing trade on Van der Takstraat, especially in winter. Although there are sufficient amenities, there’s not a single bike shop, café (just for coffee), or permanent restaurant. As with many neighbourhood high streets it used to have a butcher and a baker, but now it has a host of seldom-visited specialist attractions like the firefighting museum, diving centres, and an antique shipping paraphernalia shop. The minimal traffic on Noordereiland makes it theoretically quite a peaceful place, and often transforms it into a gigantic kids’ playground. There are two squares, a park and abundant trees, so it scores high in terms of public space. Some English expats I met at gallery De Zwarte Ruyter, who thought that it was an expensive suburb, were amazed to discover the incredibly vibrant diversity of inhabitants. Only on Noordereiland can you experience that Manhattan aan de Maas feeling. Looming up over the five-storey ‘East Village’ blocks, most of Rotterdam’s landmark buildings can be seen, and of course practically the whole North bank of the river. Psychologically it might seem isolating to live on an island, but it doesn’t faze me, even having fled the British Isles for mainland Europe. Having boats on all sides (five abreast in its shipping heyday, like suckerfish on a shark) takes some getting used to, but we have a symbiotic relationship. They need somewhere to moor; we benefit from their calming locomotion. The stray cats fighting over dead seagulls are a mystery of the island – they either like it too much or don’t know how to use the bridges. At least it makes a clear distinction for estate agents: the apartment is either on Noordereiland or not – the neighbourhood’s boundary is clearer than the waters of the Nieuwe Maas. Janneke Earl (1991), tired of collecting port cities in Britain, was drawn to the biggest port in Europe. After completing an Architecture degree in Glasgow, she worked at Maxwan in Rotterdam and Denkkamer near Eindhoven. She is Scotland’s and the Netherlands’ representative at Meeting of Design Students, while flying the flag for Rotterdam’s international community.